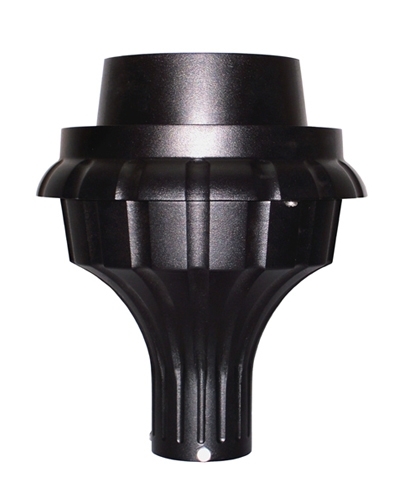 Sand cast decorative aluminum housing. Fits globes with 9� neck and 3� OD poles. Includes porcelain 4KV pulse rated mogul base socket. Black powder coat finish.